From the beginning, I have had the luck to train, study and work with amazing people in the dance world. Among them number Rudra (Bejart), The Place (London school of Contemporary Dance) and recently Lloyd Newson and DV8, and I have been extremely grateful for these experiences, but my relationship with dance hasn’t always been pleasant. 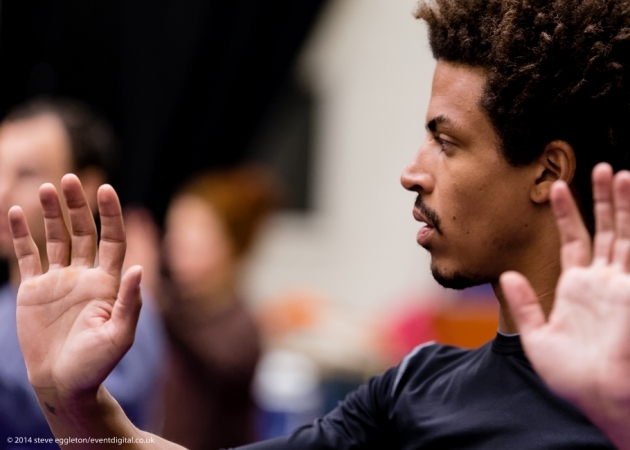 I love training dance, anything: ballet, Cunningham, hip hop, swing (maybe not Martha Graham), but when it comes down to the moment of having to create and interpret choreography with self expression, it seemed that most institutions I was working with felt that I wasn’t quite getting it… And I wasn’t. It seemed that my creativity was in wrong place at the wrong time. I found this experience extremely difficult. I am an artist and I’m sensitive. The world of Circus rekindled my passion. My experiences so far with fellow Circus classmates, teachers and colleagues have been extremely positive and people have always encouraged me to be myself an to be creative. But as I become able to express myself more and more, and develop a style on the Chinese Pole that connects with, and uses my many years of dance training, I am now met with a different issue. When I initially develop chinese pole choreography, there are simply not enough TRICKS! In dance you don’t have tricks, you dance, you make or perform choreography. With Circus, we need tricks, the audience expects tricks, and what’s worse, tricks seem more highly valued than context, and I believe that context is equally important. I find it so difficult to put a flag into my choreography. I find it BORING, and I always find it difficult to artistically justify a front somersault on the pole. In Rime, at one stage, I am Death. Fantastic! A great soundscape accompanies my act, but throughout the weeks the creation and rehearsal process has become an intense and somewhat difficult process of research and experimentation on the journey to getting it right. To connect the dance to the pole, to the theatre, but after yesterday’s run, I feel confident now, that we’ve got there… and extremely proud! Funnily enough, now that I’ve managed to see past all of that and have been enjoying the super encouraging environment created by Tim, I’m really enjoying those tricks that creep up through my “death sentence”. As well as all that I’ve just said, our dance teacher, Martin Corri, has totally re-lit my dance fire, my thirst for physical research and the joy of Dancing and working on developing choreography with him has been totally inspiring. It seems that Square Peg really is on the road to breaking, moulding and reconnecting all those barriers between the various performing arts especially Circus. These are exciting times with an exciting company! Posted on March 1, 2014 by tim. This entry was posted in Blog, Cast, Rime, Tour. Bookmark the permalink.